Experiencing nature and wildlife are two of the highlights of an Alaska cruise. While water tours are fun for exploring glaciers or whale watching, Alan and I enjoy hiking during a cruise to Alaska. 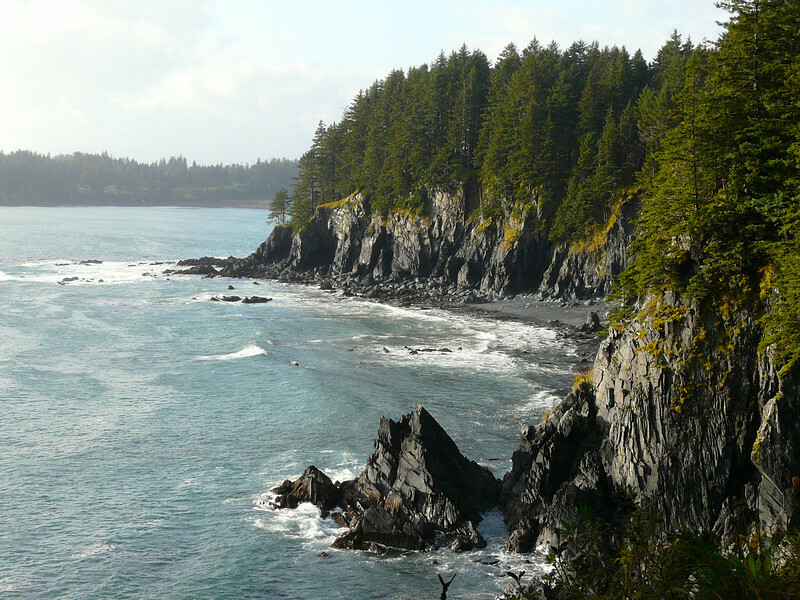 Is Kodiak on your next Alaska cruise itinerary? 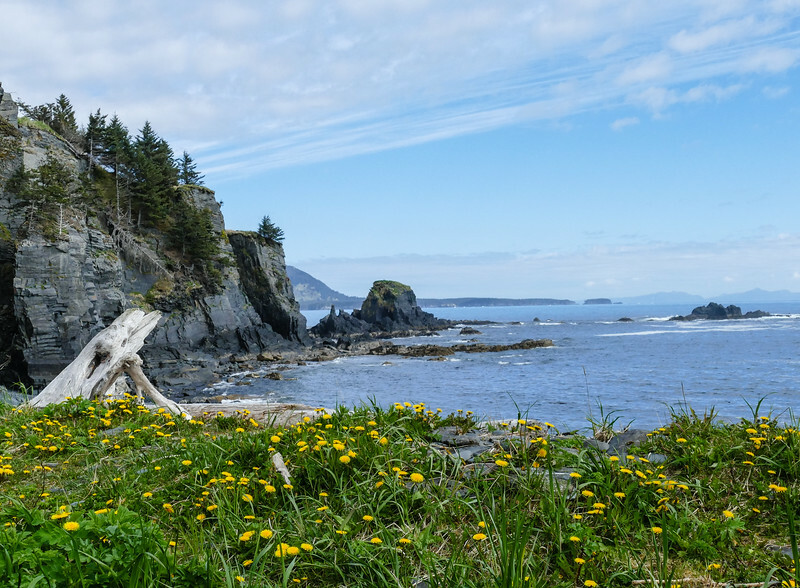 Don’t miss hiking Kodiak Island on a shore excursion at Fort Abercrombie State Historic Park. This nature hike is a boomer travel adventure that will satisfy any active traveler. Photographers, nature lovers and history fans will enjoy it too. The start of the Fort Abercrombie State Historical Park nature walk on Kodiak Island. Don’t let the nature hike wording fool you. 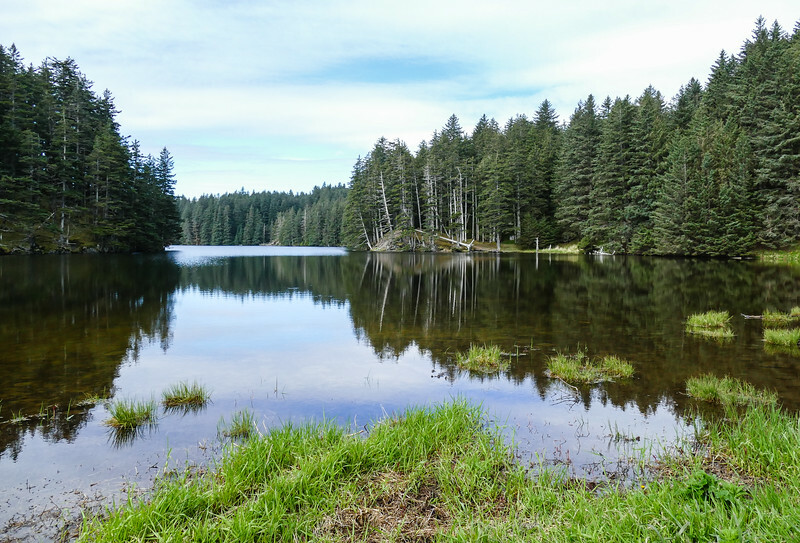 A Kodiak Island hike at Abercrombie State Park is a satisfying experience that’s easy enough for most boomer travelers. I once saw an 80-year-old woman attempt it in dress flats (not recommended but she made it). The 182-acre state park includes numerous trails as well as historical sites to explore. You’ll hike on ridge lines with dramatic viewpoints before descending toward rocky beaches that overlook the North Pacific Ocean. Vegetation spills over a barracks roof as nature reclaims Fort Abercrombie. 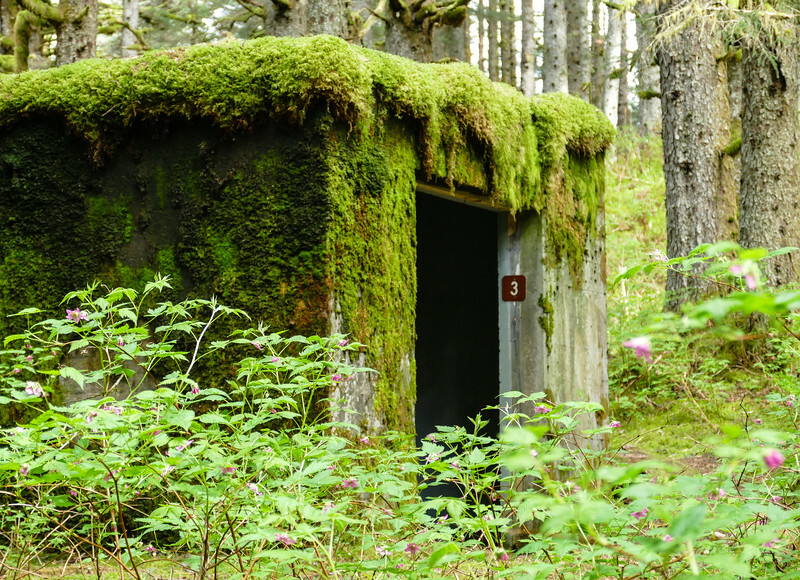 Vegetation-covered WWII relics add interest to the hike, plus a certain amount of spookiness. A National Historic Landmark, Fort Abercrombie State Historical Park includes remnants of barracks, bunkers and the ruins of a coastal defense installation. Run by volunteers, The Kodiak Military History Museum is worth a visit if its open. The small museum displays original artifacts from WWII that will make you feel as if you’ve stepped back in time. Alan and I have hiked in Abercrombie State Historical Park both times that we cruised to Kodiak Island. Yes, we think it’s worth a repeat. A rugged beach view along the trail. Our latest hiking experience happened when Seabourn Sojourn called on Kodiak, Alaska, during a spring cruise from Hong Kong to Vancouver. Reaching our first port after seven days crossing the Pacific, Alan and I were more than ready to put feet on the ground. The Seabourn shore excursion included transportation to the park via school bus and the services of a guide, who provided commentary during the ride. She also gave expert interpretation during the hike. We lucked out with sunny, early June weather and a very knowledgeable guide. 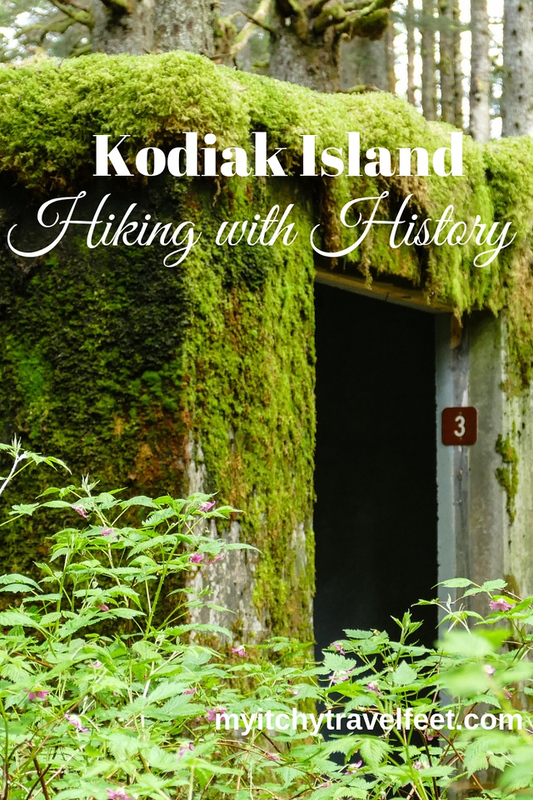 As the small group of hikers walked through the barracks area of the park, the guide shared stories of what it was like to be stationed on Kodiak Island, an isolated island off the coast of Alaska with very little services at that time. After the bombing at Pearl Harbor, citizens and troops lived on high alert, believing that a Japanese attack was imminent. Eventually the military numbers reached 11,000, quite the population jolt to tiny Kodiak. 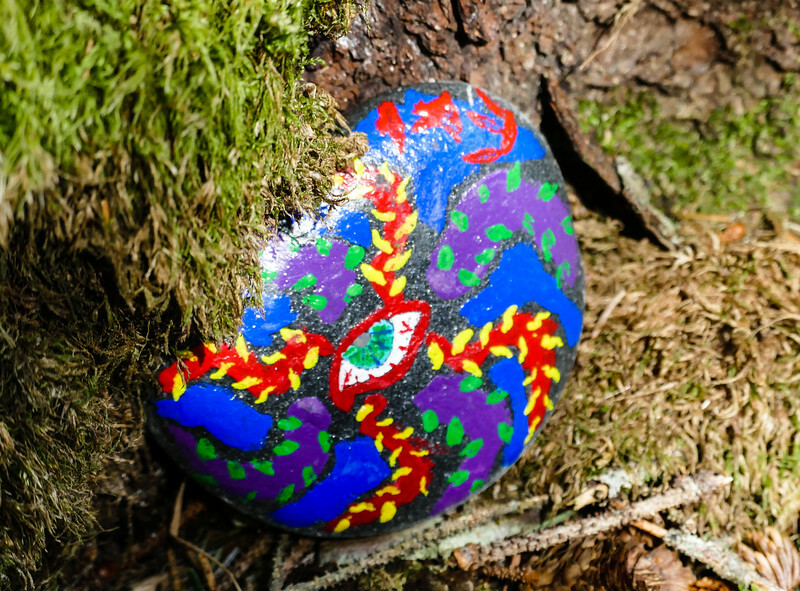 You’ll find rocks painted by local school children hidden along the path. Trail highlights included the gun installations at Miller Point and a wild-looking beach near Lake Gertrude. And on this trip, we were introduced to a wildflower trail that showed great promise for color come late June or early July for all you summer cruisers to Alaska. Alan and I first experienced Abercrombie State Historical Park on a fall cruise to Kodiak Island. Yet again, we relished the opportunity to stretch our legs before the long number of sea days as Regent Mariner cruised across the Pacific from Vancouver to Singapore. Another view from the trail. 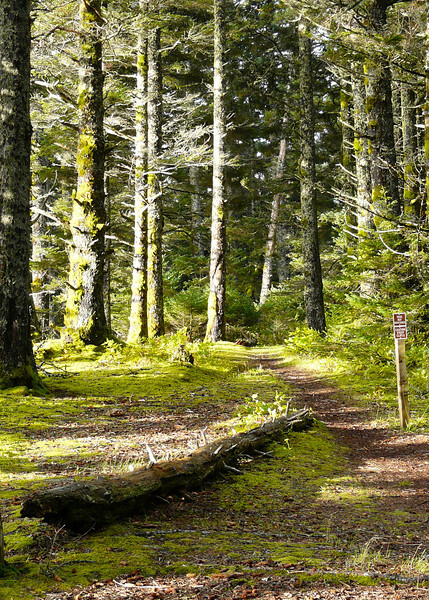 Arriving at the trailhead via school bus, we embarked on a 1.5-mile journey that meandered through a Sitka spruce forest to a coastal view. Although the cruise tour desk brochure called it a walk, it felt like a short, easy hike to me. And my lightweight hiking shoes —they also doubled as my workout shoes on the ship—made for sure footing along the sometimes muddy trail. 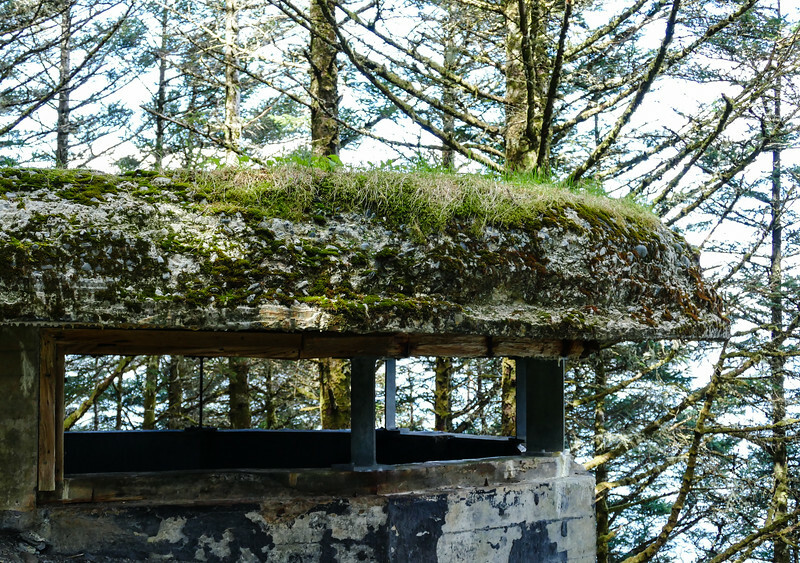 During the guided tour, a park naturalist pointed out World War II bunkers located along the trail. Taking a short spur to enter one of the lookout bunkers, we could feel the cold dampness that soldiers experienced. The sounds of crashing waves drifted into the bunker from the rocky shoreline far below us. As the trail traveled on a ridge line above the shore, one of our group spotted a pod of whales out in the ocean. We watched as the whales took turns blowing spouts of water into the air. A variety of seabirds flew overhead but the famous Kodiak bears remained illusive. Actually, our guide told us that the best bear sightings are in Kodiak Island National Wildlife Refuge reached only by air or chartered boat. 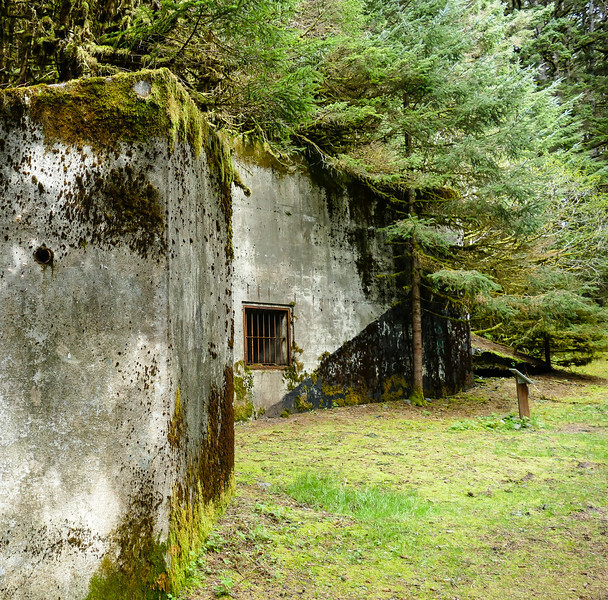 After passing Lake Gertrude, the hike continued to the Kodiak Military History Museum located in the ready ammunition bunker at Miller Point. The grass covered bunker is filled with both American and Japanese World War II artifacts, including uniforms, communication equipment, artillery, 1945 Willys MB Jeep and a 1942 Dodge Ambulance. The hike ended at park headquarters where we browsed the small combination book/gift store until the school bus appeared for the return ride to the pier. While this wasn’t a taxing hike (some wouldn’t even call it a hike), we enjoyed the time spent outdoors walking in nature. The history we observed was an added bonus. 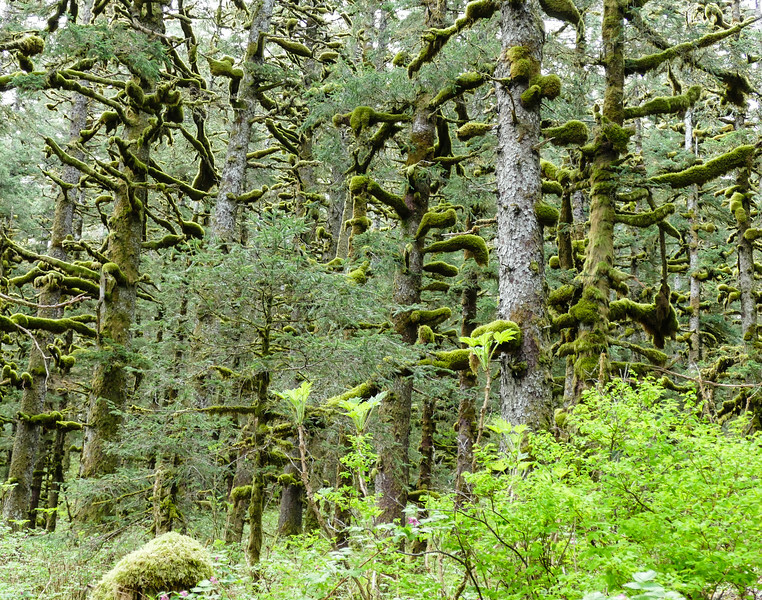 The temperate rainforest is green, green green! Of course you don’t need to book a cruise excursion to hike the trails in Fort Abercrombie State Historical Park. But cruise guests will need to hire a taxi or Uber for transportation to and from the park. And you may not have access to the Kodiak Military History Museum as it’s open by appointment only to WWII veterans or groups. Kodiak Island is home to Kodiak National Wildlife Refuge where the Kodiak brown bear lives, a distinct sub-species that’s larger than the coastal brown bears found at Katmai National Park and Preserve. Kodiak is also only a floatplane ride away from Katmai, one of the world’s prime bear-viewing destinations. A vast wilderness, the best way to visit Katmai is by float plane. Cruising to Alaska? Don’t miss our first-hand reports on Alaska cruise excursions. On our next cruise to Kodiak Island, Alan and I plan on booking a bear-watching excursion. If our cruise line doesn’t offer one, we’ll find a private shore excursion to take us there. Staying at a bear watching lodge would be even better! We’re looking at Kodiak Raspberry Island Remote Lodge or Alaska’s Kodiak Island Resort. Of course that means an independent trip to Kodiak in July or August for prime wildlife viewing. Sounds like a boomer adventure to us!